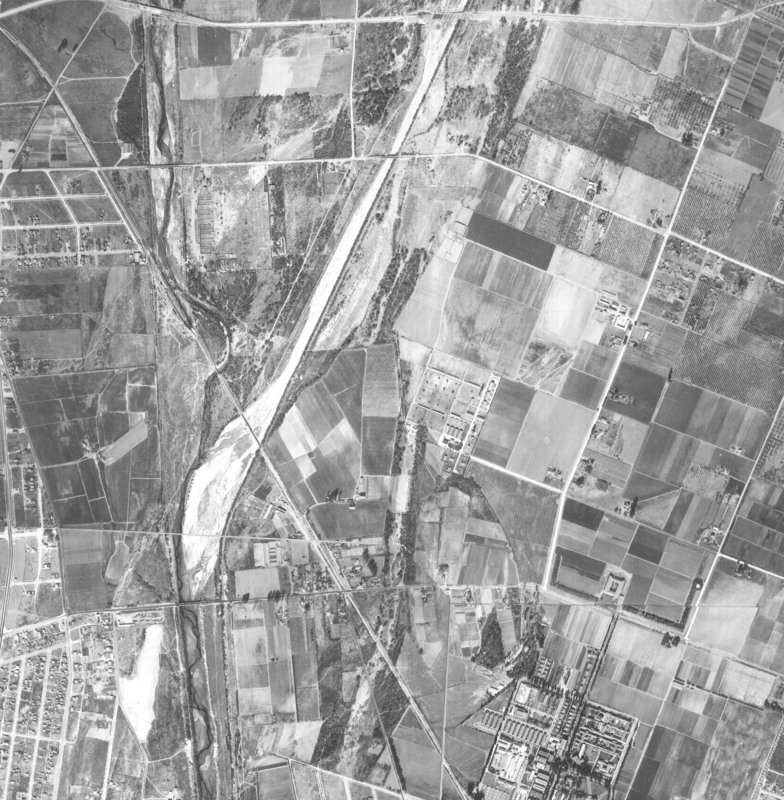 This photo is taken where the LA River abuts South Gate, Lynwood, and Downey. It was a reference photo for the South Gate Riparian Habitat Restoration Project mentioned in an earlier post. Ever watch Bones? It’s a crime-detection series filmed in LA, standing in for DC. Bones, a forensic anthropologist, and Booth, her FBI partner, get called out to look at skeletal remains of murder victims. From what I’ve seen, it looks like a lot of them end up dumped on the Rio Hondo. Yes, I watch Bones to play “name that stream.” But Bones also reminds me that running across death and decay, the detritus of predator-prey relationships, is a reality if you hike creeks. It’s the shadow side of our life cycle, essential to recycling nutrients for the ecosystem. But still, gruesome. Thankfully I’ve not run across human remains – smashed cars, santeria offerings…but no remains. Knock wood. Sometimes creeks are just downright creepy. I went on a parking lot tour today. Gerry Greene, Water Resources Control Specialist for the city, had offered a tour to me and some folks from the Watershed Council. 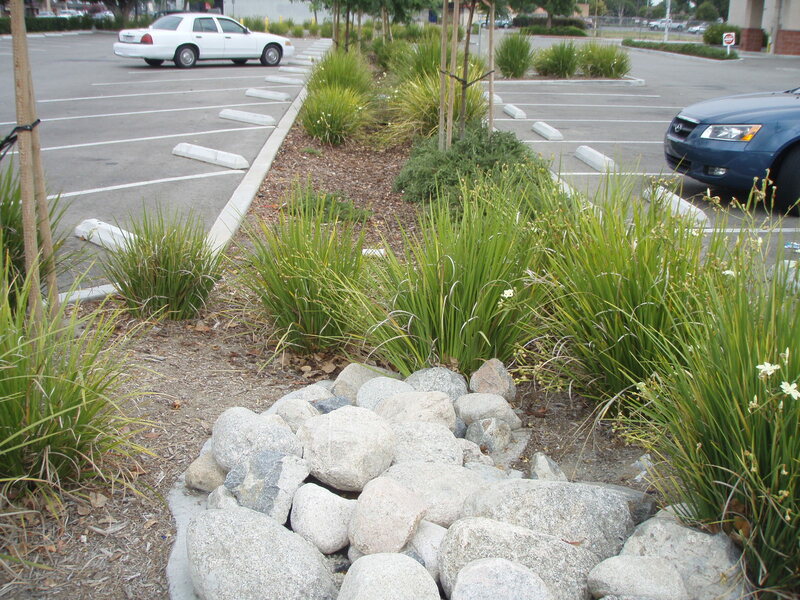 Having heard about Downey’s progress in the stormwater front from Shelley Luce of the Santa Monica Bay Restoration Commission, I was interested in seeing parking lots working to retain and infiltrate stormflows. 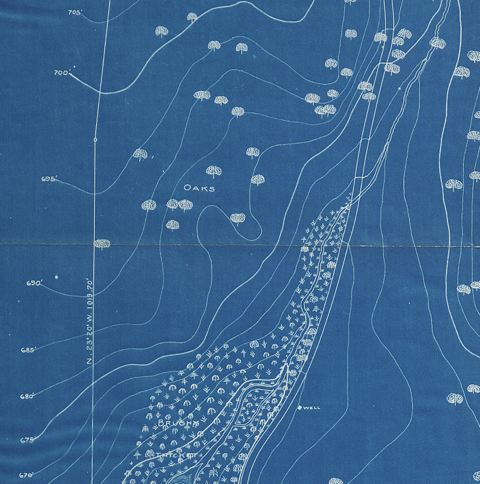 This 1904 map shows a slender stream forming in the upper end of San Marino Canyon. Vegetation is labelled as "oaks" and "brush thicket". This item reproduced by permission of The Huntington Library, San Marino, California. This is part two of a posting that describes the Artesian Belt in San Gabriel from West to East. For the introduction to this section, click here. >Yesterday in Metblogs, Will Campbell reports that portions of the Ballona Creek Bike Path will be closed and closed some more. >Yesterday the Eastsider Blog reported that the Los Angeles City Council passed Los Angeles City Councilmember Ed Reyes’ motion directing the city’s Planning Department, General Services Department and River Revitalization Corporation to do the groundwork for a Request for Proposals process for the re-use of the Lincoln Heights Jail. The LA City Historical-Cultural Landmark Lincoln Heights Jail is located on Avenue 19 adjacent to the Los Angeles River – a stone’s throw from its historic confluence with the Arroyo Seco. The initial art deco building was built in 1930 with a less remarkable addition tacked on in 1949. The jail has been closed for many years. Its ground floor has housed a few cultural institutions, including the Bilingual Foundation for the Arts, though it’s best known as a film location. >On February 24th, Daily News reporter explores home damage attributed to construction on the Moorpark Street Bridge over the Tujunga Wash in Studio City. LAist reports that neighbors fear more of the same with rehabilitation of the nearby Fulton Avenue Bridge over the Los Angeles River. >Speaking of the river at Fulton Avenue in Sherman Oaks, the Village Gardeners of the Los Angeles River have their own new website which includes an active blog! See below for their Earth Day Clean-Up event. >Speaking of home damages, On February 7th, the Long Beach Press Telegram reported the latest in a series of local floods damaging homes in West Long Beach (in the Dominguez Slough watershed.) See also the accompanying photo gallery and the follow-up article. Maybe some multi-benefit watershed management strategies could help break this cycle? >Want to save energy, prevent greenhouse gas emissions and stem the tide of global warming? Worldchanging reports that conserving water is one of the most effective ways to reduce energy use. This is especially true in the city of Los Angeles where our pumping to deliver our water consumes about a quarter of all the energy we generate! >This Saturday March 14th from 8am to 2pm, North East Trees hosts a day of service to remove invasive plants from the wetlands at Rio de Los Angeles State Park in Cypress Park. >On Sunday March 15th, Friends of the L.A. River (FoLAR) lead their monthly river walk in Atwater Village. Meet at the end of Dover Street at 3:30pm. >The L.A. City Planning Department hosts two public hearings about the Cornfield Arroyo Seco Specific Plan – called the “CASP” (or maybe the CASSP?) The same meeting takes place on Monday March 16th at 3pm and 6pm at Goodwill Industries in Lincoln Heights. >On Tuesday evenings from 7-9pm March 17th and 24th, L.A. Creek Freak‘s Joe Linton and L.A. Streetsblog‘s Damien Newton will teach our highly-informative internet skills class. Learn how to use easy, free internet applications to promote your non-profit and/or business. Start your own blog! >Bicycle the Rio Hondo at the unfortunately-named-but-actually-really-fun 24th annual Tour de Sewer on Saturday March 21st. March for Water on Saturday March 22nd! >On Sunday March 22nd from 9am to 3pm, the March for Water will take place. Marchers will walk from Los Angeles State Historic Park to Rio De Los Angeles State Park to raise awareness of bring attention to the present water crisis taking place all over the world, our nation, the state and the city of Los Angeles. Conveners include Urban Semillas, Food and Water Watch, Anahuak Youth Sports Association, Green L.A. Coalition, and many more! >On Thursday March 26th at 12noon at a Los Angeles Natural History Museum Research and Collections Seminar, L.A. Creak Freek’s Joe Linton will speak on “The Los Angeles River: Its Past, Present and Possible Future.” There’s no cost for the seminar, but if you’re not a member you’ll have to pay to get into the museum. >On Saturday and Sunday April 17th and 18th from 9am to 12noon, the Village Gardeners of the Los Angeles River invite the public to help clean up, mulch, and plant natives at the Richard Lillard Outdoor Classroom in Sherman Oaks. >FoLAR’s annual La Gran Limpieza (the Great LA River Clean-Up) will take place on Saturday May 9th. >The Los Angeles County Bicycle Coalition hosts their 9th Annual Los Angeles River Ride on Sunday June 7th. The current Rio Vista Park, which opened June 2008, is a rehabilitation and expansion project of an existing small park – and the site has a good hybrid/palimpsest feel of an older site that has been enriched by recent additions. The project was spearheaded by Amigos de los Rios partnering with the County of Los Angeles, the San Gabriel and Lower Los Angeles Rivers and Mountains Conservancy, and the city of El Monte. It’s part of what Amigos de los Rios call the Emerald Necklace – a large string of parks on the Rio Hondo and San Gabriel River. The park celebrates multiple histories of the site, from the Tongva Native Americans to Hick’s Camp. Shade structures (visible in the picture on the left) are designed to resemble Tongva kich (pronunced “keesh”) housing made of thatched willow cuttings. Informational signage details the Tongva names and uses for native plants growing on-site. Hick’s Camp was a colonia – a longstanding village that housed working class families, mostly immigrant agricultural workers. Hicks Camp occupied the park site and most of the surrounding neighborhood beginning from 1900 until it was demolished in the early 1970’s. Former residents of Hick’s Camp still gather for reunions. The park commemorates this history with a listing of the the names of Hick’s Camp families and a large camp map both etched in the sidewalk at the park entrance at Ranger Avenue. Interpretive signage explains the history of the site with time lines and historic photos. These tell important stories including the 1933 Berry Strike and the 1940’s successes in desegregating El Monte schools. Historic photos show the youth of the camp swimming and playing in the adjacent, still-natural Rio Hondo. The park features an ample grassy area, picnic tables, a tot lot (with playful child-activated running water features) and an exercise course. The site features bioswales that detain and infiltrate stormwater. The plentiful new vegetation along the Rio Hondo is all native, with plenty of oak trees. Surrounding the park are more great gates by artist Brett Goldstone. When folks from the conference visited the park last Tuesday night, there were plenty of local families using the park for walking, sitting and exercising. Mothers walked with strollers; kids cruised on the bmx bicycles. The winged residents were at home there, too: A small raptor (which we think was a juvenile Coopers Hawk) flew in and rested a while on a eucalyptus branch. We walked and toured the park, and looked east out over the Rio Hondo running wet in a concrete canyon and imagined what this place was and what it will be again. The Los Angeles River is part of an interconnected system of tributaries, many of which have their own plans. The waterways are the spine of the Los Angeles River watershed; tributaries have their nestled subwatersheds. Many problems in the river corridors – especially flooding and pollution (water quantity and quality, respectively) – are nearly impossible to solve just by fixing up our waterways themselves. Solving these problems requires planning on the watershed scale… so there are watershed plans and sub-watershed plans, too. There are officially adopted plans by cities, counties, and other public agencies. These cover river corridors, water quality, river zones, individual parks, bike paths, etc. There are also plans created by advocacy groups, who don’t necessarily see ourselves as limited by the adopted master plans. There are also various vision plans created by students, engineering firms, artists, and others. Often plans are referred to by their acronyms, which can be very similar – there’s the LARMP and the LARRMP, the IRP and IRWMP… Is your head spinning yet? Mine is, and I live and breathe this stuff. So, in order to help folks familarize themselves with some of the acronyms plans for the L.A. River (and that’s just one of the half-dozen rivers in L.A. County,) here’s a short list of some that I think are worth knowing about… this is not an exhaustive list – feel free to comment with your favorite plan that I’ve omitted! LARMP – The Los Angeles River Master Plan was adopted by the county of Los Angeles in 1996. It covers the entire Los Angeles River and the portion of the Tujunga Wash downstream of Hansen Dam. The LARMP was a collaborative effort between three separate county departments: Public Works, Regional Planning and Parks and Recreation. The pioneering document was instrumental in opening up the formerly fenced-off river, and has resulted in various additional documents, including guidelines for signage and landscaping. LARRMP – The Los Angeles River Revitalization Master Plan was adopted by the city of Los Angeles in 2007. It covers the 32 miles (about 2/3rds) of the river within the city of L.A. – from Canoga Park to Vernon. 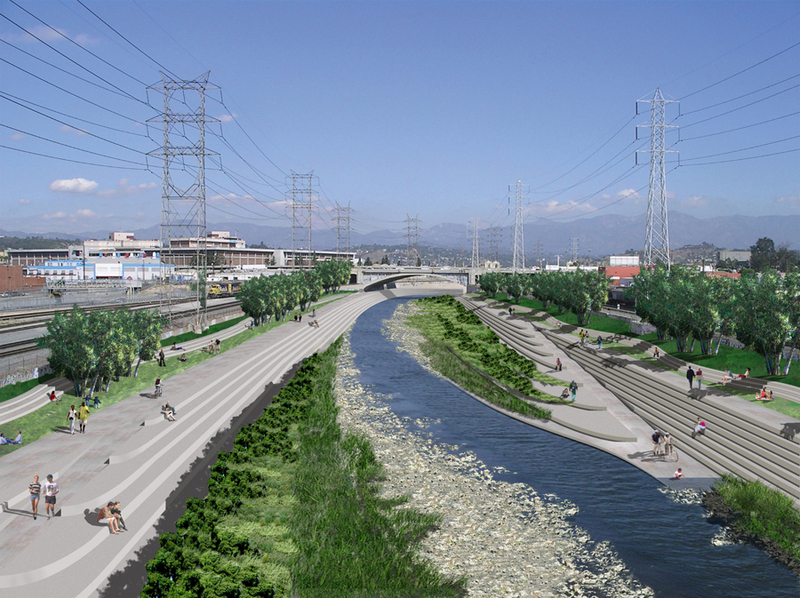 The LARRMP calls for a greenway along the river, and for dramatic interventions at five opportunity sites: Canoga Park, Verdugo Wash, Taylor Yard, Cornfields/Chinatown, and Downtown L.A.
IRP – The Integrated Resources Plan is the city of Los Angeles’ plan for wastewater, stormwater and recycled water for the next 20 years. IRWMP – The Integrated Regional Water Management Plan, known unfortunately as the “Urr Wimp”, is a mega-plan for Los Angeles County that focuses water supply, while also incorporating aspects of watershed management, recreation, groundwater recharge, flood prevention, restoration, and perhaps even the kitchen sink. It’s a unwieldy document that folds together various projects, mostly so the region can say that we’re working together and therefore we qualify for state funding. Creekfreak’s hero Anne Riley has called IRWMPs “the big staple” – more-or-less an exercise in stapling various water agency projects together. Long Beach RiverLink is the city of Long Beach’s master plan for their 10 miles of the Los Angeles River. Adopted in 2003, RiverLink plans more than 220 acres of new parks along the lower river. Thank you dear reader for getting this far with me… all these plans are making me forget the point I was intending to make. Overall these multiple overlapping and interconnecting plans are worthwhile: they include some opportunities for public input and public awareness; they direct governmental expenditures to the river; and they’ve resulted in new parks, paths, public art, landscaping and more. One of the issues with them is the scale: to really solve problems, we need to look at the whole watershed, but when we’re looking at a watershed scale, the plans become cumbersome and difficult for local communities to identify with. It’s difficult to strike the balance between comprehensive and specific. Advocates should be familiar with these plans, and should use them where they serve us, but shouldn’t be limited by plans’ shortcomings. The 1996 county LARMP, useful and important as it was and still is, didn’t include large new parks at Taylor Yard or the Cornfield Yards or even small ones including Marsh Park or Steelhead Park. Much of the work done along the river have been bottom-up grassroots efforts where environmentalists, residents, soccer players, businesses, bicyclists, parents, and others (including some elected officials and governmental agencies) came together around meeting the needs of local communities. To date, a lot of the river revitalization projects, from South Gate to Frogtown to El Monte have been opportunistic. Considerably less of an orderly implementation of master planning than opportunistic seizing of opportunities. Our waterways run through diverse neighborhoods, so our plans for healthy rivers should be diverse, too. We should respect the steps forward taken through past planning efforts while we continue go beyond them. 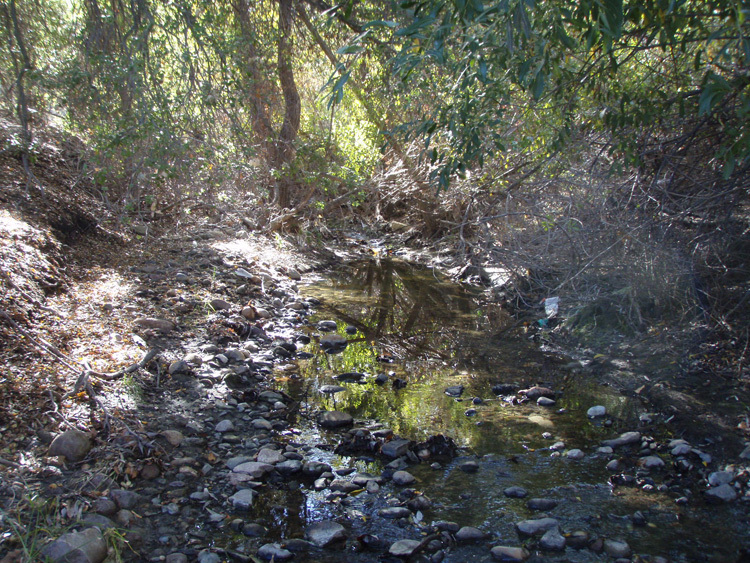 You are currently browsing entries tagged with Rio Hondo at L.A. Creek Freak.